NEW YORK, Jan. 22, 2019 /PRNewswire/ -- Atento S.A. (NYSE: ATTO), the leading provider of customer relationship management and business process outsourcing services in Latin America, and among the top five providers worldwide announces the appointment of Carlos López-Abadía as Chief Executive Officer and member of the Board of Directors. His starting date will be January 28, 2019. Carlos López-Abadía replaces Alejandro Reynal, who steps down as Chief Executive Officer after completing a successful seven year leadership tenure at Atento. Carlos López-Abadía joins Atento after a successful 30 year career in the technology and consulting industries. 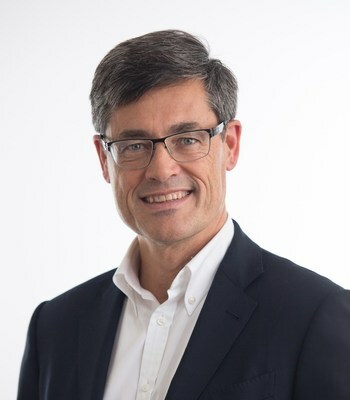 Prior to his appointment as Atento's Chief Executive Officer, he served as DXC Technology's Vice President and General Manager Consulting, responsible for digital transformation advisory services, including strategic partnerships in the consulting domain. Previously he served as Vice President Global Services for Misys where he led the transformation of the services and software support business and managed a global service delivery network based in major global financial centers and offshore locations. Prior experience also includes, Managing Partner at Accenture and leadership positions at Level 3, McKinsey&Co and AT&T. Atento's Board of Directors stated, "We are very pleased to have Carlos joining our team. A well respected and successful business leader, Carlos brings extensive and relevant expertise in the areas of technology, consulting and digital transformation at the global level. We are convinced he will build upon the successful trajectory of Atento to reach new milestones for the Company, driving value for our clients, our employees and our shareholders. We would like to wish Carlos all the best in his new role as Chief Executive Officer of our Company and once again thank Alejandro Reynal for his leadership tenure at Atento." "I am very honored to join Atento and its superb team of talented and dedicated professionals," stated Carlos López-Abadía. "Atento has an unrivaled commitment to lead the customer experience and business process solutions industry in its markets while driving value for clients and key stakeholders. This commitment expands into the digital age and disruptive business environment in which companies develop their activity today. I am really thrilled to have the opportunity to lead the team into what I am convinced will be another successful chapter for this great Company." Mr. López-Abadía holds an MS in electrical engineering from Purdue University and an MBA from Washington University, where he was a Charles F. Knight Scholar. He has recently been named to the Hispanic IT Executive Council's HITEC Top 100, Class of 2017-2018, for his career achievements in the ever-changing global landscape of information technology.